Home Finally Here? The Race to Build Flying Cars. Will we ever have flying cars? There have been many promises and false starts through the years, but maybe the day has finally come. 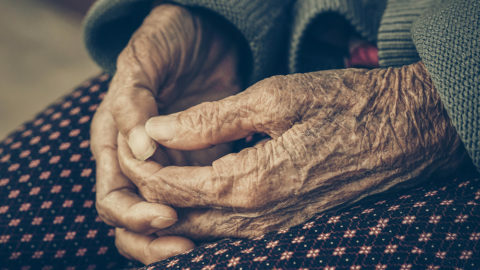 With technological advances, there are now many efforts afoot to make the longtime dream a reality. For those of us of a certain age, our first awareness of the concept of flying cars may have come from a TV show: the 1962 Hanna-Barbera cartoon series, The Jetsons. Who could forget that opening sequence with George Jetson whisking his family off to school, shopping, and work in the family’s flying car? That was over fifty years ago. But the concept was hardly new then, in fact, the idea is roughly a century old. 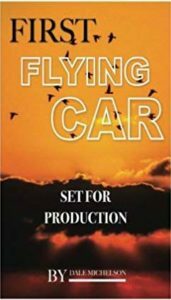 The first ever attempt to build a flying car was made by aviation pioneer Glenn Curtis in 1917. His Autoplane was able to lift off the ground, but never achieved full flight. In the 1930’s, Waldo Waterman build the Arrowbile, which has come to be regarded as the first true flying car. 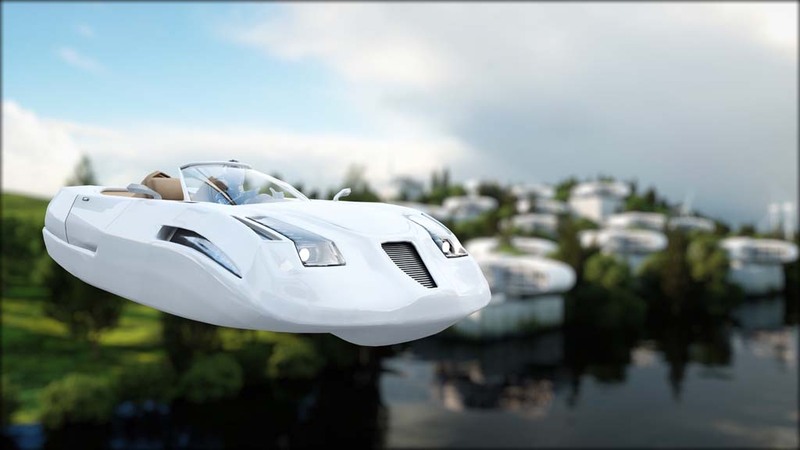 Waterman is sometimes referred to as the father of flying cars. There have been many other false starts, in the intervening years, yet within the last two or three years, new efforts to build flying cars and personal vertical takeoff and landing (VTOL) craft have sprung up like mushrooms after a spring rain. So, what if anything has changed, and will the current state of theart lead to a near term reality? 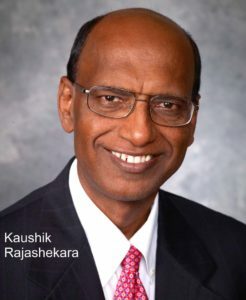 Kashik “Raja” Rajashekara is an IEEE fellow and an engineering professor at the University of Houston. He’s been writing and lecturing about–and advocating for–flying cars for decades I spoke to him recently to get his take on the current status of the technology. Mark: For those of us in the Baby Boom generation we probably first became aware of the concept of flying cars from a TV show, The Jetsons, in the early 1960’s. But that’s over fifty years ago, there have been many promises and many false starts since then. So why should we think, why do you think, it’s actually going to happen for real this time? Raja: What is different now—as opposed to the false starts over the past 100 years—is the technology. Now there a lot going on in the vertical takeoff and landing and there is a lot of work going on electric aircraft and the advancement of aviation, as well as the advancement of automobiles. So., all these technologies that have been developed for aerospace and automotive systems can be used for flying cars. At least 10 or 15 companies are working on flying cars. But we need to be careful. Many companies call vertical takeoff and landing vehicles flying cars. They are not really in the sense they don’t go on the road at 100 KM per hour or 100 miles per hour. They will only fly in the air. There are very few companies putting a lot of effort into real flying cars. Which can go on the road at say 80 or 100 miles per hour and then fly in the air for about 300 to 400 miles like that. For example, Terrafugia is one such company. Mark: I’ve seen any number of things out there touted as flying cars, that to me look like just large drones or small helicopters. They really don’t look anything like cars. If we’re going to get to that vehicle that does both, how do we do that? What is the technology like? Is it simply a combination of the car and the drone or small helicopter technology, or is it perhaps something completely different? 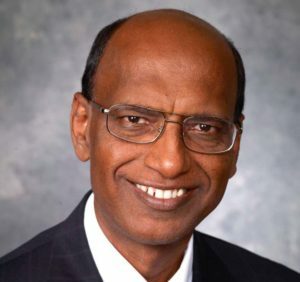 Raja: Vertical takeoff and landing is required even for flying cars. Of course, flying cars can be done even without the vertical takeoff and landing, for example Terrafugia’s transition that was demonstrated a few years ago , and is still I think they have something running–that is not vertical takeoff and landing. So that is a flying car, which can go on the road, you can go to a gas station and fuel it and then go to your small strip and then take off, like a small airport. But vertical takeoff and landing technology doesn’t need all the things that are required for a real flying car. For example, a flying car, if it has to go on the road, needs a propulsion, so you need the motors and also the associated powered electronics and batteries and all those things, for it has to go say 100 miles or 200 miles on the road, but that is not required for vertical takeoff and landing. So that makes it simpler. Because what is required for the ground, is not required for the air all the time. Mark: So just in terms of what that’s going to look like, is it going to look similar to the, vertical takeoff and landing, the drone-like things I’ve seen that can also drive on the road? Or is it going to look entirely different? Raja: It exactly looks like an automobile when it is driving on the road. And even when it is flying, it looks like a car, but the wings being unfolded If you look at a picture of the Terrafugia TFX, wings are unfolded like any small airplane, but if you look at the bottom, it looks like a car. It is basically a car with wings when it is flying. Mark: What about logistical issues? Everybody’s favorite or un-favorite technologist, Elon Musk, has kind of spoken out against flying cars and the whole concept. He does raise some legitimate issues. Obviously, safety is one of them. It’s bad enough to worry about somebody, when you’re on the on road, hitting you from the left or the right or the front or the rear. But landing on top of you is certainly an issue when there are flying cars over head. Traffic control, particularly if you have a lot of different technologies, from a lot of different companies–that’s also an issue. How we’re going to deal with things like safety and traffic control? Raja: Yeah, that is a very good question which many people ask me. My first quick answer is this. Assume that we didn’t have any vehicles on the road. All of them were flying. Then one day somebody thinks that let us put vehicles on the ground also. On the land. Then immediately there would have been serious objections, that how can you put it there are so many trees, so many mountains, water, rivers, people are walking. We cannot put a vehicle on the land, it has to be in the sky. That is what people would ask. But now we already have vehicles running on the land with traffic congestion and all those things. There have to be safety aspects incorporated. They have to be autonomous. That is very important. It has to be controlled in such a way that one vehicle doesn’t go very near to the other vehicles, so it has to be some type of repulsion that has to be incorporated. And invisible lanes have to be set up. And communication is very important technology. The communications control and always monitoring of the traffic, so a lot of things have to be done from the ground. For road vehicles, if there is a collision, they remain on the ground. But if it happens in the air, they will fall to the ground, which is more dangerous. Mark: Let’s go on to the implementation and the market. Early price tags I’ve seen on these suggest that this is not a mass market item, at least not right now. Clearly that can change in the future, but it’s starting out to look like that it’s only going to be an elite flying taxi service, maybe the military, emergency medicine, police, etc. When you’re talking a couple hundred thousand dollars up into the millions, this is not something for the mass market. So, in terms of rate of deployment where do you see these popping up first and what time frame if ever until we get to more of a mass market. Raja: I think to start with we should use it for emergency medical purpose, the police, and people who are in the air like coast guard. . Any emergency purpose we should be using this type of vehicles. But gradually the prices will come down. Recently there was a study published I think, last year by University of Michigan, they said that how many people would buy if the car price is about 500,000 or 600,000 dollars, I think one percent said they would buy. If it is about say 200,000 or 300,000 dollars about ten to fifteen per cent said, yes. So, as the technology advances, and more and more people use it, people are going to buy this technology because this will be the future. My full podcast interview with Kaushik Rajashekara is accessible here.